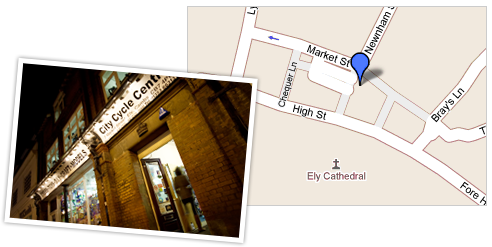 City Cycle Centre is located in the centre of the historic city of Ely in Cambridgeshire. Our family-run shop was established 40 years ago and is staffed by enthusiasts. We specialize in cycles, toys, models, craft and DIY products. Please browse our website to find out what each department can offer you, and just contact us if you'd like to know more. Do visit us to see our full range of stock - we'd be delighted to see you.